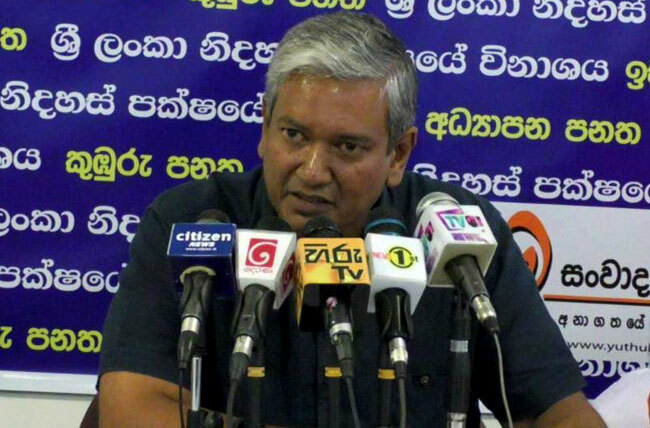 Gevindu Kumaratunga says that MP Ravi Karunanayake should completely leave politics over the Bond Scam and not just resign from the post of Assistant Leader of the United National Party (UNP). Addressing a press conference in Colombo today (1), he said that presently Mr Karunanayake has no moral right to continue to engage in politics. He also said that Prime Minister Ranil Wickremesinghe should be held responsible for all that has happened because of the bond scam as he was in charge of it.